A MELROSE PLANTATION "WRITER IN RESIDENCE"
This morning I received an email from my good friend, Dr. Mary Ann Wilson, English professor at the University of Louisiana at Lafayette. Mary Ann told me that she's presently teaching a class in Louisiana History in which students are studying Children of Strangers by the Louisiana author Lyle Saxon. I was prompted to rummage in a cardboard box that contains the books I've published, searching for the volume entitled Their Adventurous Will, Profiles of Memorable Louisiana Women. 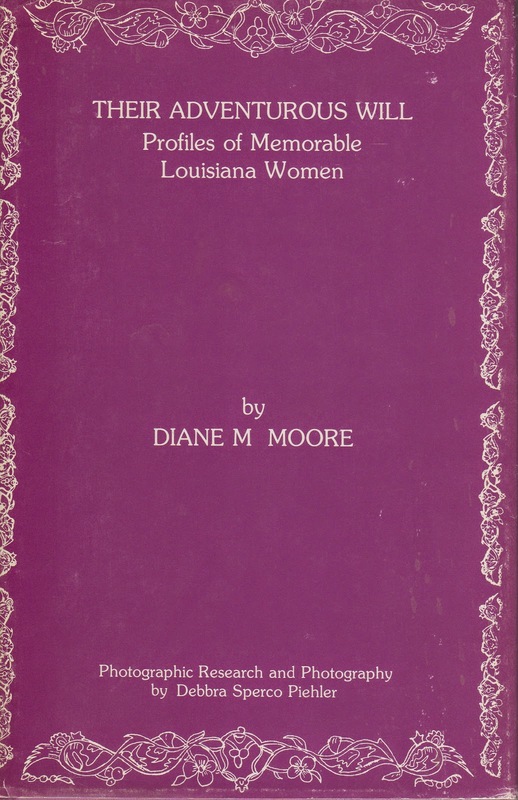 This volume contains an essay featuring Miss Cammie Henry, former owner of Melrose Plantation in Natchitoches, Louisiana, that tells of her friendship with Lyle Saxon. After re-reading the essay, I was inspired to write a few lines about Saxon, based on excerpts from Their Adventurous Will. Lyle Saxon was a "writer in residence" at Melrose Plantation for many years in the first half of the 20th century when Miss Cammie Henry invited writers and artists to live on the premises of her plantation, issuing one requirement for permanent residence: they must produce works of art. In appreciation for Miss Cammie's patronage, which lasted many years, Saxon donated his personal library, manuscripts, and papers to her. This treasure trove comprised one tenth of the library at Melrose! Miss Cammie had confessed to Saxon during his first visit to Melrose that she "always had her nose in a book," handing him book after book for his inspection. "So few people are interested in these old things," she said. "Why man alive, they are the most interesting things in the world to me. I love them all!" In the ensuing years following that first visit from Saxon, the books that he wrote gained a place on the Melrose Plantation bookshelves among volumes by Roark Bradford, Rachel Field, Kate Chopin, Caroline Dormon, and many others. Actually, historians believe that books by Lyle Saxon and Kate Chopin were pilfered from Miss Cammie's extensive personal library. Miss Cammie invited Saxon to live at Melrose Plantation in 1927, and he readily gave up his New Orleans apartment to establish residence at Yucca House on the grounds of Melrose. Yucca House was one of several structures built by Augustin Metoyer, descendant of Marie Therese Coin-Coin, an African slave woman who gained her freedom because of her connection with the Frenchman Thomas Pierre Metoyer. 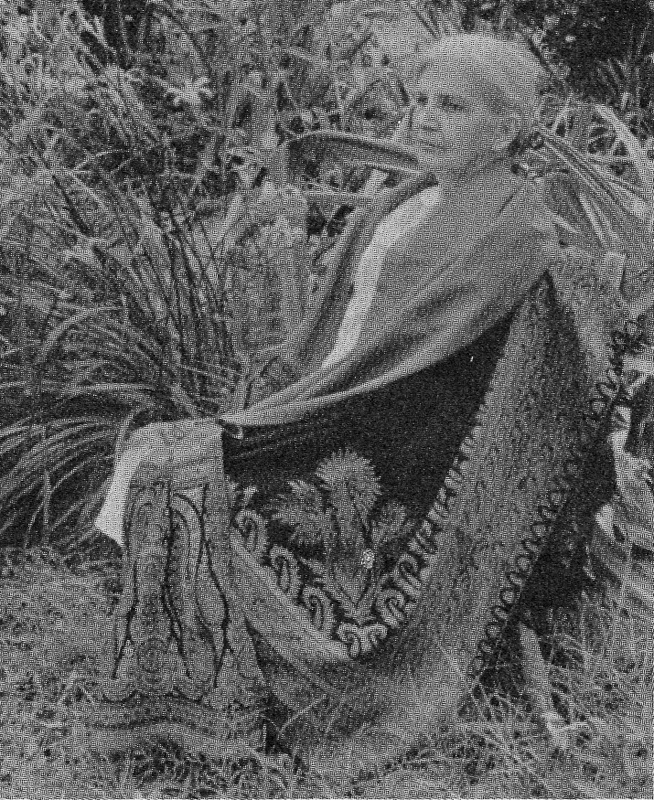 Metoyer and Marie Therese Coin-Coin had 14 children, and several of her sons received land grants after they and their mother were freed. In 1796, Marie Therese's son Louis obtained a large grant for the property that is now Melrose Plantation, and later Augustin built three houses of simple African design, constructed of bousillage (mud and deer hair) placed between massive timbers, on the property then called Yucca Plantation. After Miss Cammie's husband, John Henry, acquired Yucca Plantation he renamed it Melrose after Melrose Abbey in Scotland, home of Sr. Walter Scott, his favorite author. When Miss Cammie restored the distinctive buildings and showed them to Lyle Saxon, he became fascinated with Yucca House. He had once told Miss Cammie at a New Orleans dinner party, "I think I could write a book in that house." In "that house," Saxon wrote Father Mississippi, Lafitte the Pirate, Fabulous New Orleans, Friends of Joe Gilmore, Old Louisiana, and Children of Strangers. Children of Strangers, his only full-length novel, was set at Melrose, and Saxon featured people who lived on and around the plantation as models for the characters. He actually used many of the books and scrapbooks containing Louisiana articles that Miss Cammie had collected to fuel his writings and acknowledged her in dedications for Old Louisiana and Fabulous New Orleans. Miss Caroline Dormon, famous Louisiana naturalist and botanist, was a frequent visitor to Melrose Plantation and appears in another essay of Their Adventurous Will. She believed that Lyle Saxon had a gift greater than William Faulkner and described the Nobel Prize winner as "pompous with bags and bags of tricks." She told Saxon that he (Saxon) was restrained and should turn loose in his writing, which would release "tremendous, mysterious power." In a letter to Saxon she exclaimed "one of these days, I will read a novel by Lyle Saxon which will fairly quiver with power and which will curl up the thin sheets of bright metal (probably tin) that glitter on Faulkner, Anderson, Lewis, and these other poseurs..."
Lyle Saxon paid the ultimate tribute to Miss Cammie in a letter extolling the plantation life of Louisiana—particularly Melrose: "When I die and go to Heaven (pause here for the jeering to die down)... and I go to that place where one is allowed to spend eternity in doing the things he enjoyed most on this earth, I shall pass by the halos, the harps, the wings and all the rest of the celestial grandeur—and I shall ask for just one thing. Just let me spend the rest of my time in visiting the places on earth that pleased me when I was alive...and if I get this wish of mine, one of the first places to which my ghost will return will be Melrose, the home of the Henry family, some twenty miles out of Natchitoches..."
The above excerpts from this essay in Their Adventurous Will were based on research I did in the Cammie Henry Room of the Eugene P. Watson Memorial Library, Northwestern State University of Louisiana in Natchitoches, Louisiana. Archivists there graciously opened to me library collections of letters, photographs, periodical articles and memorabilia concerning Cammie Henry, Lyle Saxon, and many artists and writers who resided at Melrose Plantation during the 20th century. Brava, Dr. Mary Ann Wilson, for recognizing one of Louisiana's "undersung" authors who once enchanted the naturalist Caroline Dormon and whose book, Children of Strangers, "quiver[ed] with mysterious power." Take a walk with a taxonomist and inevitably you'll find yourself identifying and classifying plants along the way. During the daily walk regime that I'm now following, I'm accompanied by a botanist who pinches leaves, lags behind to gaze lovingly into the cups of blooms, takes photographs, and calls out scientific names for plants about which I'm forced to ask their common names in order to keep up with the plant world. Yesterday, I was enchanted when I spied the beautiful and succulent wildflower, jewelweed, also known as touch-me-not , or Impatiens capensis, as it is known to taxonomists. The orange-yellow blooms spotted with brown looked like tiny jewels glistening in the shadowy light of the woods, and I couldn't resist asking about their identity. We were walking the Mountain Goat Trail again, and the jewelweed was one of the few wildflowers still blooming alongside the walking path. It's a plant especially adapted to hummingbird invasions, but a few butterflies fluttered through the little patch I spied. The trumpet-shaped flowers hang down from the plant, and my botanist friend plucked a pod of the plant to demonstrate how the seeds explode out of it when touched—thus, the name "touch me not." Although I admire the aesthetic look of certain plants, true to my astrological sign of Taurus, I'm always asking about the practical applications of flowers and leaves. In fact, I've written several young adult books in which the hero boy traiteur (healer) uses plants to treat diseases and perform miraculous healings. I didn't realize until yesterday that the spotted jewelweed has medicinal properties, and the leaves and juice from the stem of this plant are used to treat poison ivy, poison oak, and other types of dermatitis. Salves and poultices have been used to treat eczema, even warts and ringworm. Native Americans and herbalists have been treating those who suffer from serious cases of poison ivy and poison oak with jewelweed for centuries, and I wish I had known about its healing properties the three or four times I've suffered from this skin reaction. behind bars of an iron fleur de lis? Lately, weighty problems that occupy too much of my thinking have forced my "writerly" body away from the computer and onto a walking trail called The Mountain Goat Trail, a hiking/biking trail that has gained national attention. The Mountain Goat Trail at Sewanee is an ideal walking path for those who prefer pavement to grass and want to enjoy the woods at the same time. I walk a portion of the paved trail as often as I can and complete a two-mile stint in the afternoons. When I first stepped onto this trail, I thought of Robert Frost's line, "the woods are lovely, dark, and deep," and the deeper onto the trail I walked, the deeper and lovelier the forest became. elms grew in the bottomland. On a path into the ravine, someone had built a rock bridge that crossed a small run-off ditch, and I could have crossed this bridge and ascended a trail that led to a road on the other side of the forest. However, I stayed on track and took the one "most traveled by," (in contradiction to Frost's "less traveled by" line in the "Road Not Taken"), more sure of my footing on the flat grade of a railroad bed that had been paved over. The paved road is the result of the efforts of Ian Prunty, a high school student who obtained a grant from the Tennessee State government to launch the project in 1998, then raised more funds to solidify plans for the road. 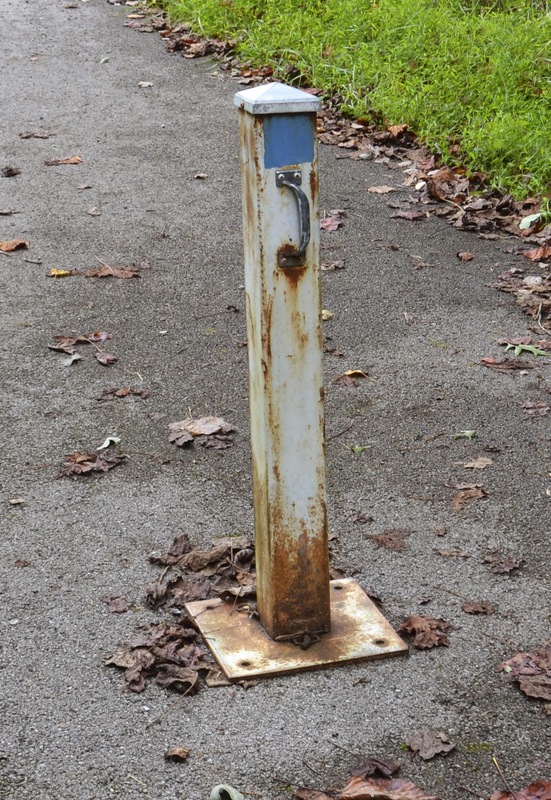 The first phase of my walk ended at Lake O'Donnell Road where three metal posts, waist high, were imbedded in the pavement, and I lightly tapped the top of the center post as if I had reached a "personal best" goal. When I turned to retrace my steps, I met a woman pushing a baby carriage in which a round-faced infant dozed placidly, unmindful of the sound of locusts perched on tree trunks, whirring their monotonous songs. I felt poems stirring within me and wondered if I had achieved the "high" that runners feel when they've run long enough and far enough to energize the brain for a peak experience. On that first walk, I didn't realize that Sewanee and surrounding environs were buzzing with the news that Governor Bill Haslam of Tennessee had awarded a $600,000 grant to the non-profit organization, Mountain Goat Alliance, to extend the rail-to-trail outdoor recreation project called Mountain Goat Trail. 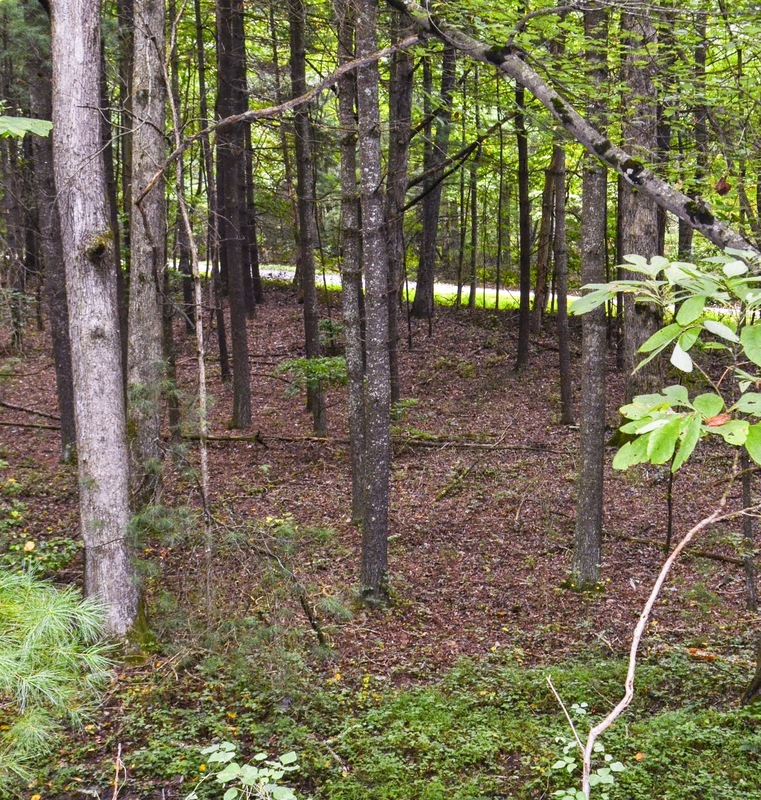 This abandoned railroad right-of-way is being converted into a multi-purpose corridor (e.g., walking, biking) between Grundy and Franklin Counties of middle Tennessee. This week when we traveled to Monteagle, we passed giant road machines that were creating a trail linking Monteagle and Sewanee on a five-mile stretch of Mountain Goat Trail. From 1856-1985 the Mountain Goat Railroad transported coal and passengers between Palmer and Cowan, Tennessee. It carried coal from mines of The Mountain, beginning at Sewanee and going through Tracy City, Coalmont, Gruetli-Laager, and Palmer, and was dubbed the Mountain Goat Line because the climb on the Cumberland Plateau was one of the steepest ascents in the world at that time. Once mining ceased, the tracks of the Mountain Goat Railroad were taken up. I haven't solved any of the weighty problems I mentioned at the beginning of this blog by walking the Mountain Goat Trail, but in the company of wildflowers, fern, and old stands of trees, I kept thinking of the end line to one of my poems: "Let the trees answer." So far, most of these old friends have been mute, but they seem to approve of the fact that my "writerly" body is becoming more fit. Twice, I've heard a lone bird singing, waiting out a human invasion in the understory of these trees, and have felt hopeful. in the moment of my writing. in a final act of ecstasy. Yesterday afternoon, I participated in a literary reading at Iona Art Sanctuary, an art center established by Edward Carlos here at Sewanee. Three of us read for an audience of approximately 25 people in the large gallery filled with inspirational art that sits on a hill overlooking seven acres of woods and fields. Carlos built this sanctuary to provide writers and artists with a space where they could share their art with the Sewanee community, and he invites a variety of artists to perform there, beginning with fall sessions that continue until winter descends on The Mountain. 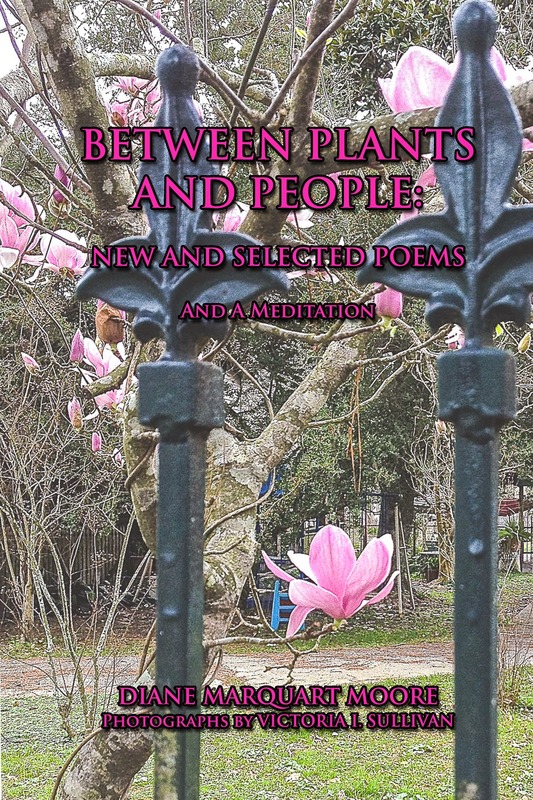 I read several poems from my book of poetry, published last year, entitled In A Convent Garden, which contains many poems about The Sisters of St. Mary and the Convent where I worship, frequently serve as a deacon, and sometimes preach. After reading a few light poems about the Convent animals, Penny the dog and Sophie the cat, I read a more serious work entitled "The Serenade of Sister Lucy." I composed this poem before Sr. Lucy began her demise, but when I read it now that she has passed, it seems to have been predestined to become a eulogy for this remarkable woman who was an icon in the Sewanee community. Most of the obituaries about Sr. Lucy cover her long and productive life, and my acquaintance with her spans only seven years, but I grew to know and respect her, and I was saddened by her struggles with a serious illness, particularly this past year. I first met Sr. Lucy when she was head Sister of St. Mary's. She was also shepherding the congregation at Church of the Epiphany in Sherwood, Tennessee, just down the road from the Convent. I remember being introduced, then shaking her hand and telling her I was a deacon. She stepped closer to get a better look at me (she was almost blind in her late years) and said peremptorily, "You can read the Gospel this morning." I was pressed into service on the spot, and later I learned that when Sr. Lucy requested you to participate in the work of the Church, she "suffered no slackers." "The Lord is coming, the Lord is coming." 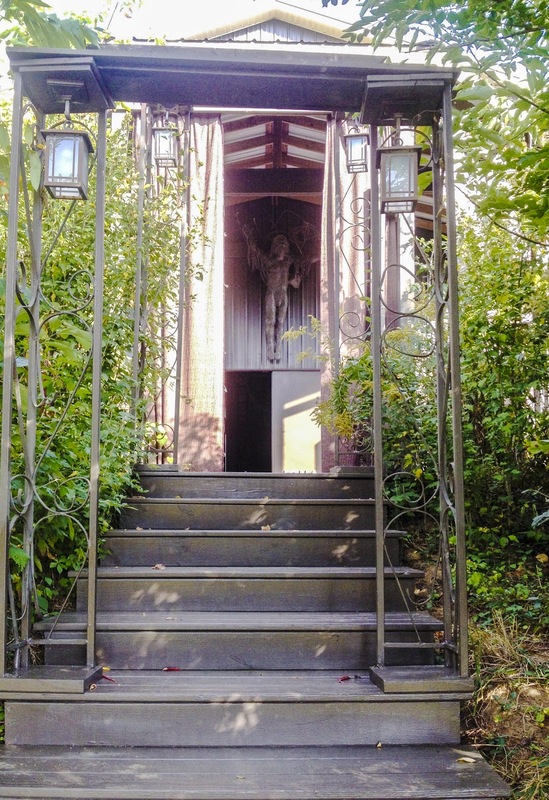 "we celebrate the memorial of our redemption,"
I once preached a sermon that included a story about Sr. Lucy's expectations of committed Christians and the remarkable effect those expectations had on people who might have been unwilling to "come forth." The story was told to me by my good friend, Anne Boykin, wife of The Rev. Elmer Boykin, now deceased. During Fr. Boykin's retirement here at Sewanee, he developed Parkinson's disease. He became unable to perform many of his clerical duties, and his wonderful booming voice, which once caused me to dub him "Jeremiah in the Pulpit," diminished to the extent that he seemed unable to read or preach the Gospel. However, one year, Fr. Boykin and Anne decided to join one of Sr. Lucy's tours abroad, a contingency scheduled to visit Iona, a small island in the inner Hebrides on the western coast of Scotland. To most travelers on a spiritual quest, the Isle of Iona is known as "a sacred space." 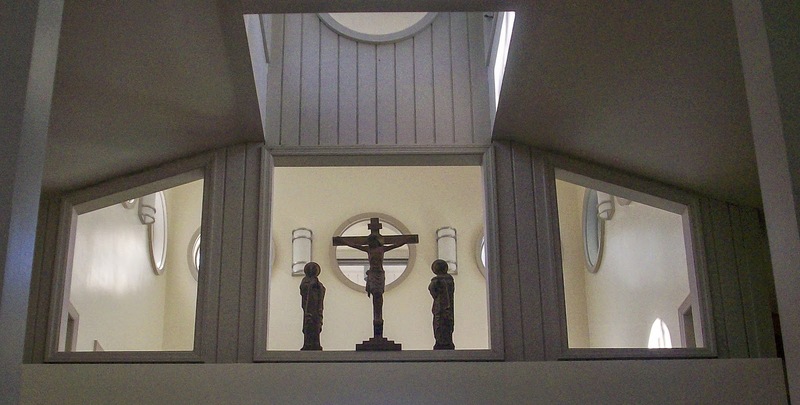 It seems that Sr. Lucy was asked to conduct a service in the chapel on Iona, and, in her usual manner, began tapping recruits on the shoulder and giving them their assignments. She singled out Fr. Boykin and said the same words she had said to me in Sherwood: "You can read the Gospel." As Anne Boykin knew that Fr. Boykin was usually unable to read, she put her face in her hands and lowered her head in embarrassment. But when the time came for Fr. Boykin to proclaim the Gospel, he stood, and in his former booming voice, read through the passage without fluster. Anne says that with Sr. Lucy's prodding and confidence in his ability to proclaim, Fr. Boykin made a miraculous, momentary recovery. It was perhaps the last time he read with such fervor and with faith inspired by Sr. Lucy's feet at his back, but this miracle occurred at Iona. I have written the poem in In A Convent Garden that became my eulogy for Sr. Lucy, which I read yesterday at the Iona Art Sanctuary. On September 27 I will serve as deacon at her funeral Requiem, and I'll remember the poetic refrain she brought forth in me at Sherwood... and which she must have heard a few weeks ago: "The Lord is coming, the Lord is coming." Today I couldn't resist writing a few words about the strong influence she had on those who often needed a little more faith and fervor to carry out God's mission... according to His will...and to the will of unflappable The Rev. Sister Lucy, CSM. During the mid-20th century, "little magazines" began to burgeon in the U.S. Vital independent publishers emerged and have continued to proliferate since that time, and literary and art magazines have become an important part of the intellectual life throughout the country. The Pinyon Review, a journal birthed by Pinyon Publishing in Montrose, Colorado, has joined this burgeoning movement and has a mission of producing quality literature, art, and scientific essays through the efforts of Gary Entsminger, Editor, and Susan Elliott, artist and Managing Editor of the magazine. Although the Pinyon Review is a relative newcomer to the literary scene, it has gained distinction as a little magazine that nurtures an eclectic group of writers and artists from various parts of the U.S., ranging from Colorado to New York. The latest issue, #6, of the Review just arrived in my mailbox this morning, and I think that it's the best issue Gary and Susan have produced. The lead poem in Pinyon Review #6, entitled "Why I Became A Vegetarian" by Barbara Schmitz, features the flower children, vegans, LSD users, and advocates of free love prevalent during the 1970's when young people felt threatened by ideas about the human race being annihilated by the "Big Bomb." "Why I Became A Vegetarian" captures the essence of the hippy movement in 17 stanzas of masterful, descriptive lyrics narrated with tongue in cheek humor. "Because we read vegetarian cookbooks/like the Grub Bag with delicious recipes/like cucumbers in sour cream and essays/like the one advocating if people were made/to eat what they killed there would be less/ murder...and All We Need Is Love/Maybe It's the Time of Man/We were Looking for a Heart/of Gold in the eggplant/and in the zucchini." The writer of this poem confesses to being a part of the 70's crowd that extolled vegetarianism, food coops, consciousness raising, and other indicators of a non-conventional movement; but, today, she teaches a writing class and is interested in writing as a spiritual practice. After spending time in New York City, painter Georgia O'Keefe searched for the light that would illuminate her paintings and found it in New Mexico. It seems that Jay Friedenberg has been on a similar search and discovered that light in "New Mexico Canyon Country," a center of Pueblo culture during the 9th-13th centuries. His hard pastel entitled "Chaco Ruins," located in Chaco Canyon, shows the late afternoon light as it "begins to darken details in the vertical rocks." Friedenberg writes that the adobe and grass hues brighten the landscapes in a pastel that reflects his appreciation for light and for the sweep of the New Mexico landscape. Another pastel of Chaco Cliffs features rocks and vegetation at midday in bright orange and red hues. A final pastel entitled "Canyon Morning" shows light filtering into the Chaco Canyon and is reminiscent of O'Keefe's work in which she often uses deep violet and blue hues to accent dark rocks. These arresting pastels are part of an exhibit that is featured in New York galleries, and I'm sure the exhibit attracts art lovers who appreciate the value of light in desert and mountain paintings. A dual contribution of poetry and art by Britny Doane and David Burton showcases Corvus the Raven, a bird that would charm Edgar Allen Poe from the "other side." It's an exposition of the bird most people regard as a nuisance but whom Doane defines in "The Sensualist" as..."the sage of tricksters/changing night to day and day to night. / If you listen to my whispers/you may hear the gossip of time/I will never be starved/like my rottenly friends..." Burton's painting features the raven poised on a tree stump rising from a mist, regarding the viewer with "cunnai" (Cajun for cunning) eyes. The painting has a mystical quality Poe would have appreciated. 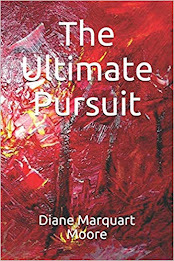 Poet Doane's work will be featured in a book of poetry published by Pinyon Publishing in 2015. Michael Miller, a regular contributor to the Review, gives readers a brief look into "The Next Room" with a wry description of a couple making love that is overheard through the walls by the narrator. The concise poem eclipses the passage of time and ends with an ironic twist characteristic of Miller's explicit tropes about Passion. I liked the brief lyrics concerning age in Jean Zipp's "Haunted," in which a "withered, wheelchair worn" man sits, "his mouth agape/ In wonderment gone awry" (that last line is a starkly true line about the aged) and bestows a kiss on Zipp's hand, while she experiences "A lambent moment/Fleetingly retrieved/Who did he think I was?" A Tucson writer, Zipp has written a fascinating book, Windows: Letters to Ayla, published by Pinyon earlier this year. Editor Gary Entsminger contributes a poem to this issue entitled "Old Bach" who "danced into life with/occult dissonances...and linking new grace notes/and his high wire canons... rubbed his eyelids until/the metal edges and wooden pipes/converged into an image/of wind chests trackers and bellows/saw himself playing the most/complex machine of the 17th century..." Gary, an accomplished musician who plays both country and classical music on several instruments, brings old Bach to life in a portrait poem that will incite readers to call for more of his lyrics. And, finally, I enjoyed writing the review of Luci Shaw's Adventure of Ascent, a memoir that tells the story of turning points in the career of an aging poet who takes the time to reflect on the spiritual movement in her life as an octogenarian. The works reviewed above that appear in the latest issue of Pinyon Review are only part of an outstanding literary journal celebrating the arts and sciences, a journal that continues to gain momentum in a literary world devoted to "little magazines." P.S. The cover and frontispage photographs by John Johansson are striking, and Susan Elliott's beautiful design work underlines the quality of this distinguished journal. 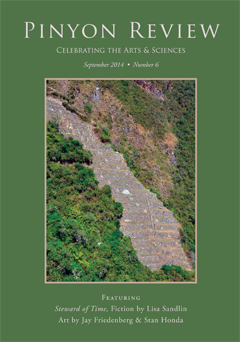 Order The Pinyon Review from Pinyon Publishing, 23847 V66 Trail, Montrose, CO 81403.